Sterling silver necklace is personalized with a name, date, monogram or initial. 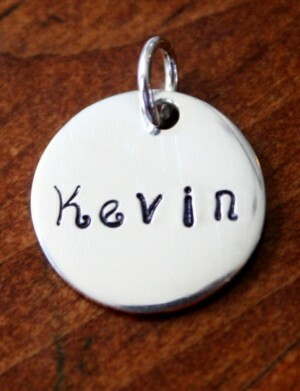 The signature charm makes a classic statement to wear some something special close to your heart. Signature circle charm measures 14mm. – Single person or child: first name, last name in a larger font, then middle initial. – Married couple: woman’s initial, surname in a larger font, then the man’s initial. 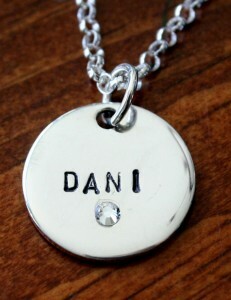 Tags: name circle, personalized necklace, thick circle necklace.